Lena D. Wade, an of counsel attorney with Slovak Baron Empey Murphy & Pinkney LLP, is an experienced public agency & litigation lawyer, having practiced for nearly 20 years. Ms. Wade has represented counties, cities, public housing authorities, and various quasi-public and private entities. 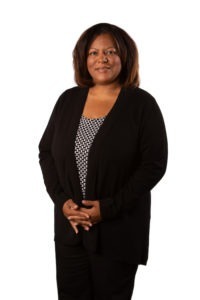 Ms. Wade advises her public agency clients by counseling their governing boards during regular and special meetings, and also by providing legal counsel on a day-to-day basis. Ms. Wade regularly advises public agency clients on the Brown Act, conflicts of interest, public contracts, procurement, the Public Records Act, business licensing, code enforcement, labor and employment, redevelopment, zoning, planning and land use. Ms. Wade is also an experienced litigator with a winning track record on significant matters. Attending regular, special and emergency meetings of governing boards and staff. Drafting bylaws, articles of incorporation, and providing legal counsel to for-profit and non-profit subsidiaries. Providing legal advice on regulatory issues, federal, state and local law. Providing training on compliance with the California Public Records Act, the Brown Act, conflicts of interest and AB 1234. Providing legal assistance on the Housing Choice Voucher Program, HOPE VI, property acquisitions and dispositions, low income housing tax credits, new markets tax credits, Community Development Block Grant, and homeownership. Negotiating with the Office of Inspector General. Providing legal counsel for employment matters such as wrongful termination, discrimination, retaliation, harassment, claims under the Fair Employment and Housing Act, Title VII, Americans with Disabilities Act, and the Tort Claims Act. Collective bargaining. Drafting and reviewing procurement policies, travel policies, employment agreements, personnel rules, employee handbooks, disposition and development agreements, purchase and sale agreements, homeownership plans, fraud policies, joint development agreement, administrative plans, Admission and Continued Occupancy Plans. Providing assistance with commercial landlord-tenant disputes such as evictions, breach of contract claims, purchases and sales agreements. Representing clients in administrative nuisance abatement proceedings.